Sometimes you know when you’re ready to call it quits. You might have a toxic boss, a job you don’t like or snarky co-workers. But it isn’t always so clear-cut. If your job itself isn’t really the problem, there still may be reasons why you’d want to explore other opportunities. Ask yourself these questions before deciding whether to throw in the towel. Has your workload become overwhelming? You might enjoy your actual work, but have too much to do it successfully. If you’re consistently feeling overworked, try to talk to your boss about whether you can delegate some tasks. If nothing changes, then you may need to consider another job in order to maintain your sanity and a healthy sense of balance. Have you stopped growing professionally? It’s common to get really good at a job – and even love it – but begin to stagnate. If you’re always doing the same things over and over without the chance to learn anything new, your career groove may quickly morph into a rut. When this happens, explore options with your supervisor for adding new responsibilities to your plate. There might be a way to continue to grow in your position without quitting. Is it a poor cultural fit? You may like your job but not your company. Corporate culture – the workplace environment and company-sanctioned norms – has a lot to do with how employees experience an organization. If your company has a culture of fear or mistrust, for example, then you might have an unpleasant daily experience going to work despite how you feel about your own position. Culture is difficult to change quickly, but it’s worth talking to your boss and human resources about your concerns before you decide whether to quit. Do you receive regular recognition? There’s nothing that kills engagement faster than doing a job well but failing to be recognized or rewarded for it. If you’ve found that your motivation is waning at work but still feel good about your job, think about whether you’re receiving any reinforcement for your efforts. Have you received positive feedback lately after completing projects successfully? How about a raise or bonus after a banner year? While you can’t control whether or not you’ll receive regular doses of recognition, you can certainly ask your boss to acknowledge your good work more often and see if things change. Is there unclear corporate vision? Even if you know exactly what’s expected of you in your specific position, the vision may be less obvious company wide. Having a vague corporate vision or mission statement can result in employees feeling frustrated, without a way to link their jobs to the company’s larger strategic goals. If your organization suffers from an unclear vision, this isn’t an easy problem to solve alone. Try talking to your manager about how you can tie your own goals at work more closely to the company’s vision. If you’re uncertain what that vision even is, ask for clarity. Are there signs that you’re about to be fired? No matter how much you like your job, there may be reasons why it isn’t a good fit for you. If you notice red flags that your job may be on the line, then you might want to pull the plug yourself to avoid being fired. For example, if you have received more than one poor review, noticed a pattern of decreasing workload with previous duties being reassigned to others or feel frozen out of the information loop by your boss or team, it wouldn’t hurt to explore other options. Do you have better long-term prospects elsewhere? While you might enjoy your current position, if you’ve been in it for a long time without moving forward, it’s possible that you’re stuck on that rung of the ladder internally. Your supervisor may associate you only with the type of work you’re doing now and have no plans to promote you. If you’ve sought opportunities to move up in your company but had no luck scoring a promotion, consider a job search outside your organization. That’s sometimes the best way to advance your career if you’ve stagnated at your current company. If you like your job, it’s important to give some thought to whether or not leaving really makes sense. 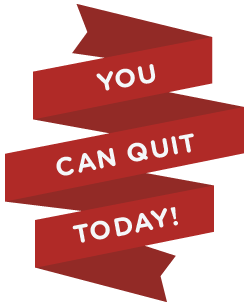 Take the time to explore what’s making you want to quit a job you don’t hate. You just might be able to stay at the company without quitting.